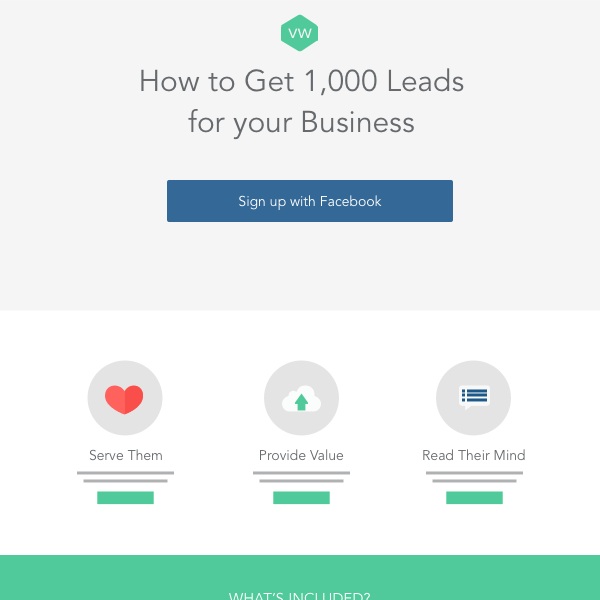 Getting leads doesn't have to be so hard. Go beyond simple landing pages and grow your business with viral marketing contests based on proven best practices. Run giveaways, sweepstakes, and product launches where fans earn points and rewards for referring friends and more! 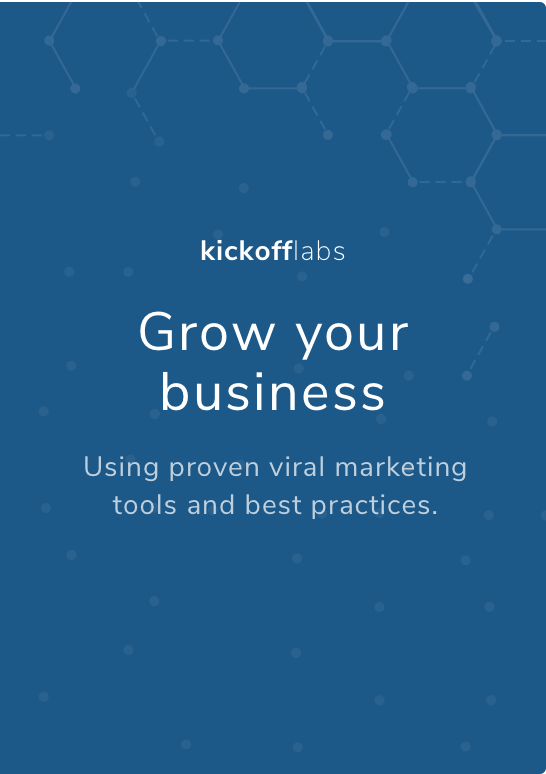 Over 29 million leads have been collected with KickoffLabs viral marketing campaigns! Leads unlock rewards by referring friends using their unique links and reaching referral milestones. Leads earn additional entries and increase their odds of winning by following your brand or referring friends. Leads earn points and move up the leaderboard by referring friends, following your brand, or taking other social actions. Leads can unlock a reward by reaching a single point milestone. Generate word of mouth by encouraging people to move up the waitlist as they refer friends and earn points in your contest. 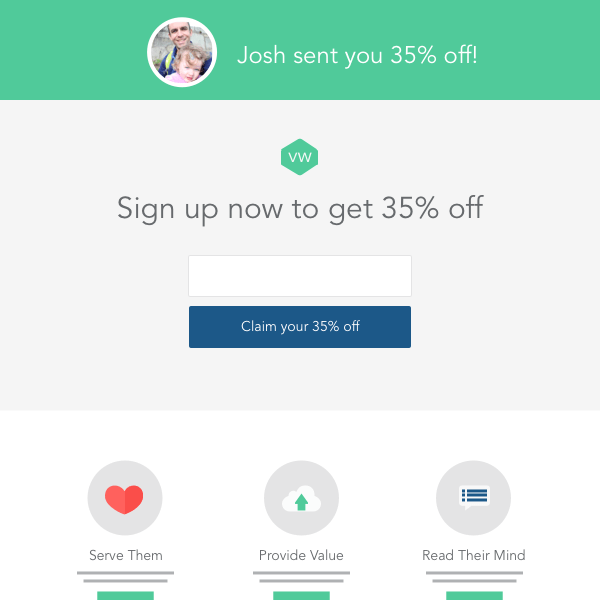 Deliver a simple instant download in exchange for someone joining your email list. Generate leads by giving away coupons, vouchers, and other unique codes to your fans through our email replies. Don't just drive leads. Drive purchases and reward true fans that refer buyers! Your way. Right away. We're flexible like that. 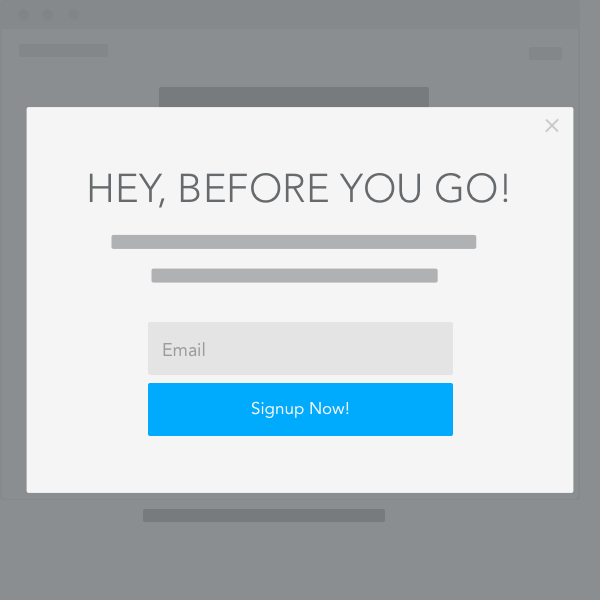 Run campaigns as a Landing Page, Popup, Slide In Bar, or custom HTML! Use our hosted landing pages on your domain. Trigger popups via clicks, on exit, or after a delay. Keep your contest running side by side with your website. Build your HTML or use another service with our AnyForm script. Yup. We handle email too! 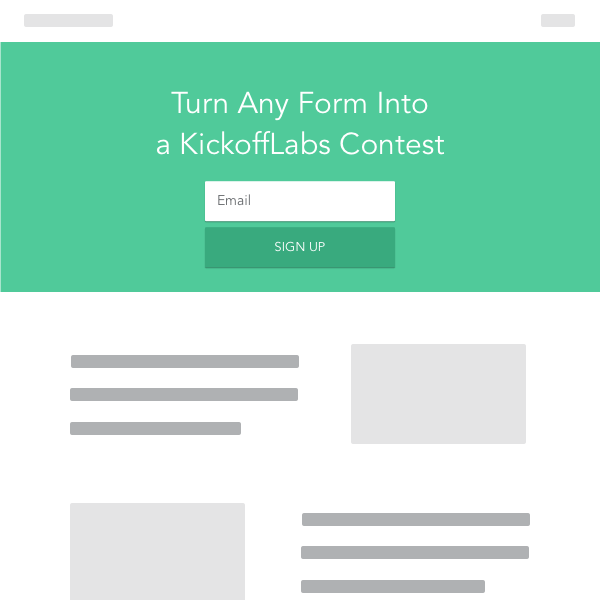 Automated contest emails that drive more referrals and engagement. Setup incentive emails to automatically reward influencers for achieving referral goals you setup at each level. 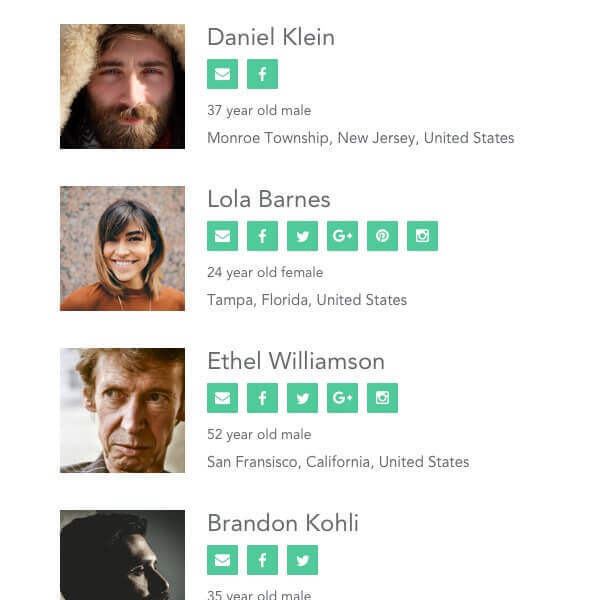 Setup an influencer email that goes out when someone gets a new referral to let them know how they’ve moved up the leaderboard! Send an email when a new lead enters your campaign to deliver instant rewards, bribes, and encourage them to share. 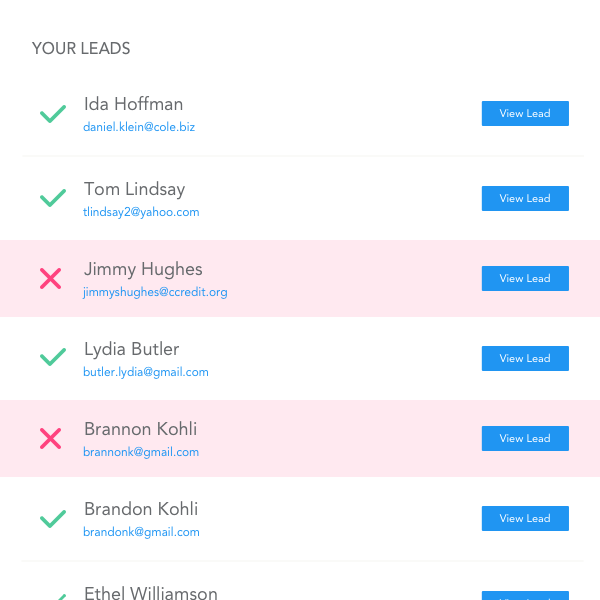 You can be notified via email, API, or via one of our supported integrations when a new lead joins your campaign. Understand Your Leads in Order to Get Even More Leads! Allow your leads to earn additional points for liking or following you on social media, sharing your content, get others to sign up. 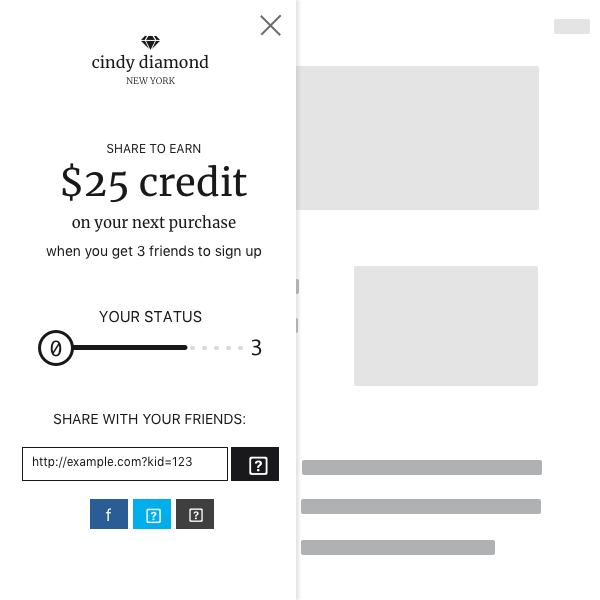 Want to give leads points for making a purchase? Or visiting a page outside of KickoffLabs? Or installing your app? Or something else. Look no further. 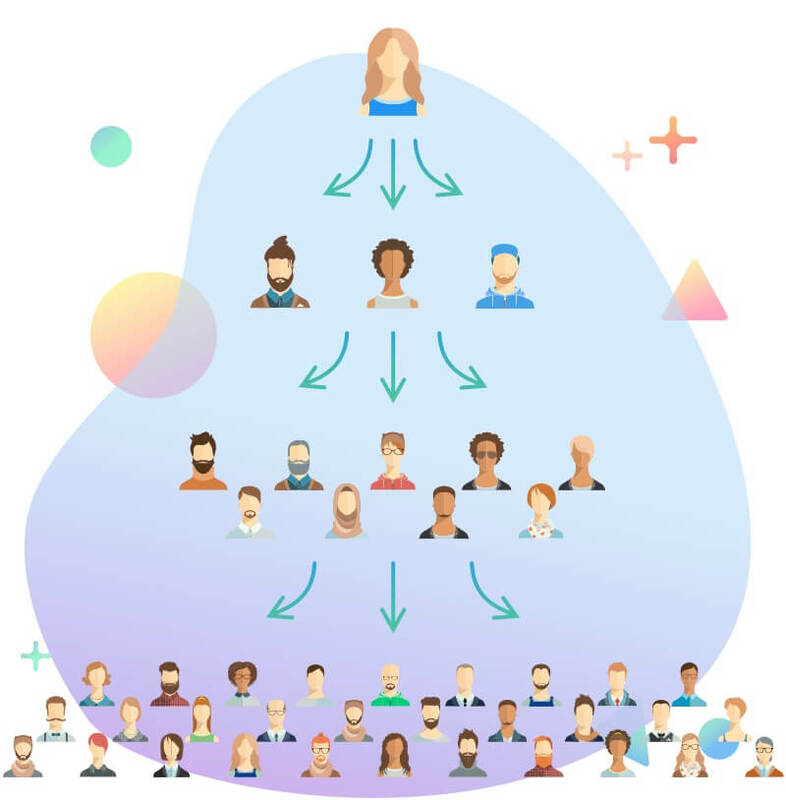 Use your lead scores to identify your influencers - who they are, engage with them, and learn how to find more influencers. Send your leads to your email service provider (like MailChimp, Aweber, etc.) and/or content management system (like Salesforce, Infusionsoft, etc.). Get easy to read reports on your conversion rate and viral boost that you can easily filter over time and source. We're different... just like you. Unique features you need to run smarter campaigns. 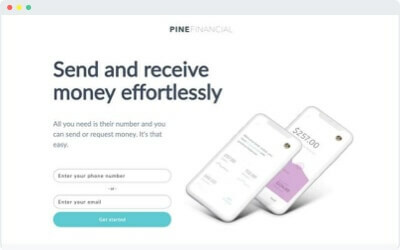 Create a personal greeting on your campaigns for visitors from their own friends to dramatically boost your conversion rates! 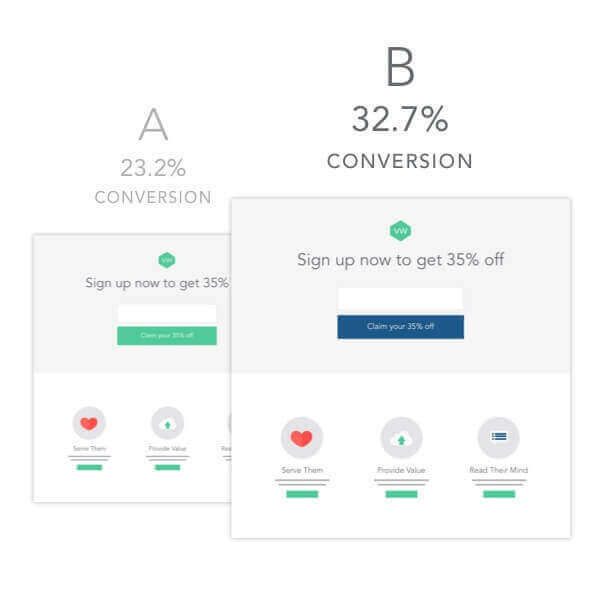 Start an A/B test and we'll automatically optimize your campaign to make sure you get the best conversion rate without checking daily. 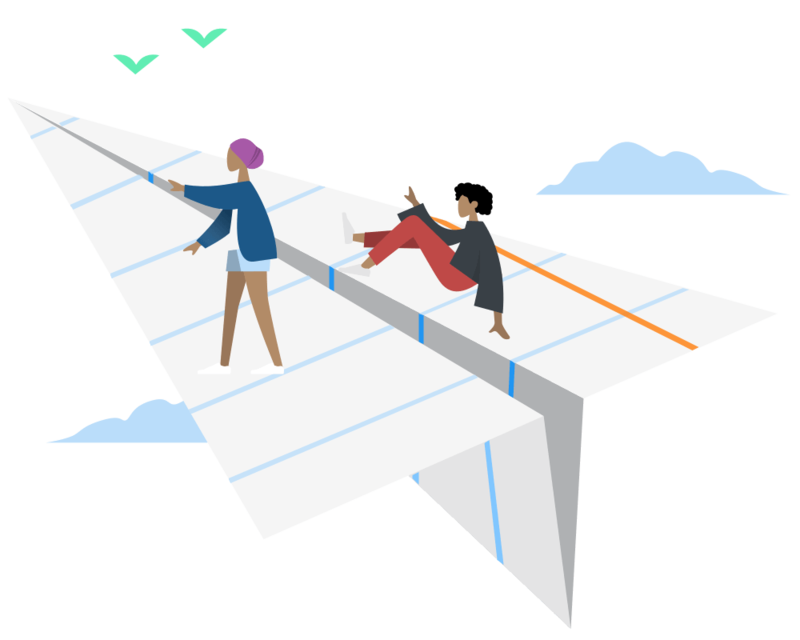 Go beyond Google Analytics and get a more complete picture of every lead with access to age, location, and social profile data. Access important conversion data at a glance, understand where leads come from, and whether or not they are referring friends. Prevent fake contest entries and referrals from mucking up your campaign. We've got some tools to help with that. We were pleased to find such a powerful viral tool for non-technical people like me. During our 8-week campaign, we captured more than 10,000 leads! There was an incredible response and sales went faster than we expected. Even if people didn’t purchase, a lot of them posted about it and were generally excited. Over 5 years, we slowly built our e-mail list to have about 25,000 leads. In a matter of one week, we doubled it through the assistance of Kickoff labs. It changed the game for our business. 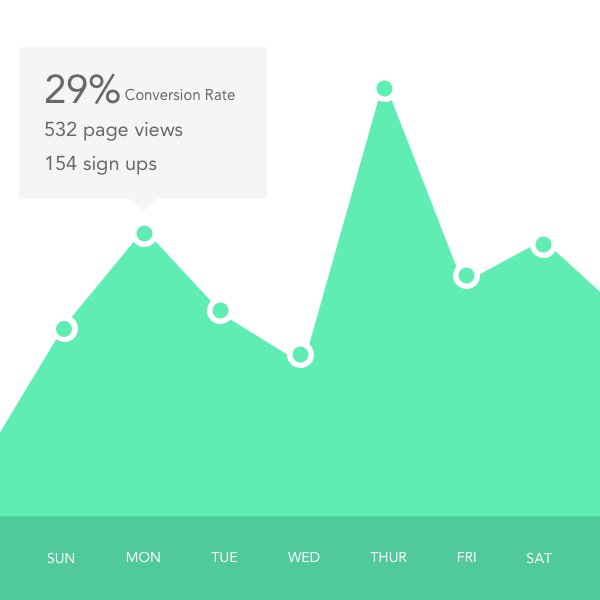 Our launch got us 35,000 leads in 2 weeks with a 56.9% conversion rate! To add, 86.6% of leads were coming from KickoffLabs social referral mechanism. That means for every $1 spent we got roughly $1.86 worth of return out of that! Grow your business with proven campaigns that go viral.